In the post-modern era, attitudes toward the fens have changed. Biologists see them as extraordinary ecosystems populated by thousands of species, and many people love to visit them, especially birders. Understanding has also grown of the way they regulate water flows and control pollution, and of their role as nurseries for the fish and birds found in other places. Plus, British agriculture has declined. 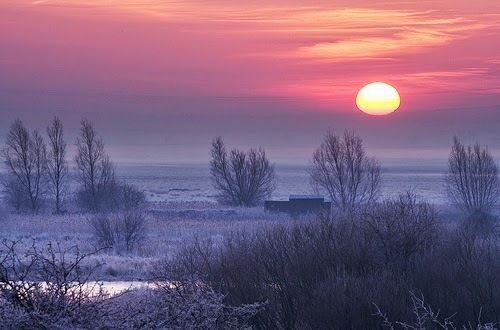 So for a generation now the attitude toward the fens has reversed, and rather than planning how to get rid of them people are working to bring them back. 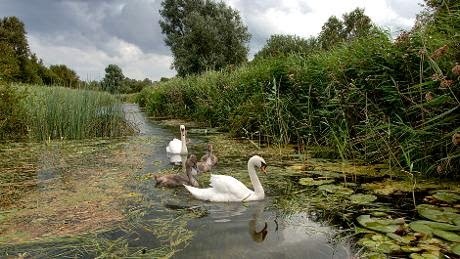 One of the most ambitious such efforts in Britain is the National Trust's plan for Wicken Fen in Cambridgeshire. The Trust already owns 800 hectares of land in the area, and their long-range plan involves more than 5,000 hectares (13,000 acres). The plan is not to make the whole area marsh; indeed some of it has never been marsh. 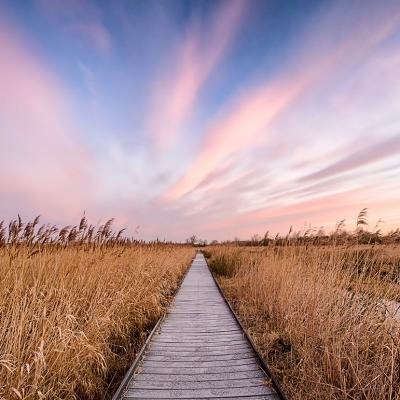 They are aiming for a "mosaic landscape" of marshes, pastures, a few farms, and small woodlands, with roads and paths to insure public access. The Trust is proceeding very carefully with this effort. Their plan calls for modest changes; they will "allow nature to take its course wherever possible" and avoid "engineering solutions." So, no new dam-like barriers, as have been used to de-channelize some American rivers, and no excavations to create new wetlands from scratch. 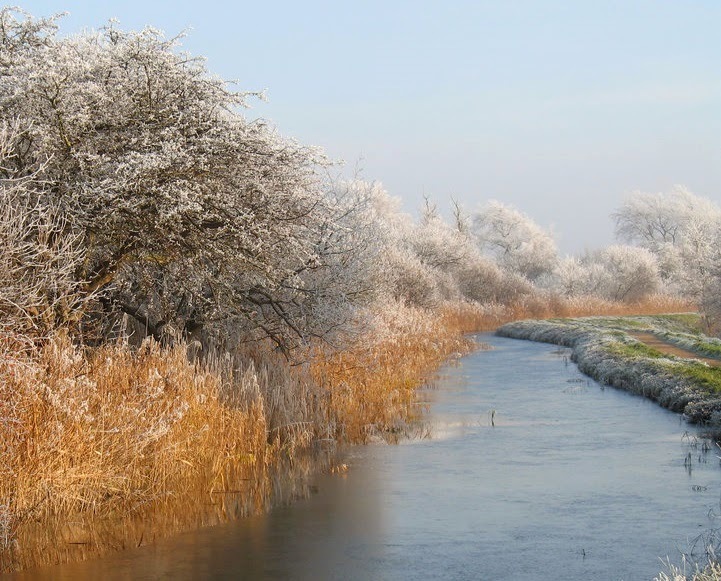 In particular the Trust is preserving the "lodes," man-made waterways that cut through the fens. Some of these are medieval and a few may go back to Roman times, so they are of great historical interest, and the animals of the fens have adapted to their presence; whatever it was that lived in the fens 3,000 years ago, much of what has lived there since medieval times depends on these waterways to get around. To keep some areas open, the Trust relies on herds of highland cattle and konik ponies imported from Poland. These semi-natural grazing animals keep trees from growing up, helping the many other species that depend on grasslands. 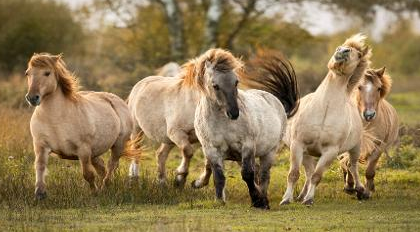 Plus people love wild ponies. One problem with getting the public interested in marsh conservation is that mostly marshes look like this. 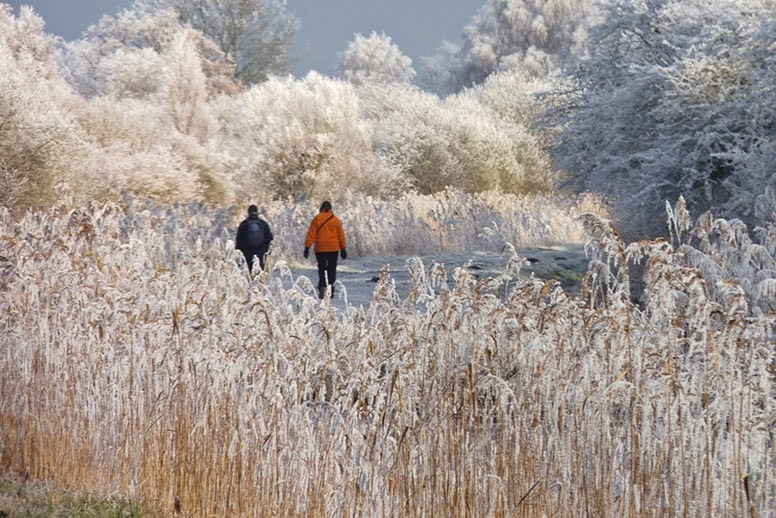 Paths are often lined with impenetrable growths of reeds, and are too muddy to walk on much of the year anyway. 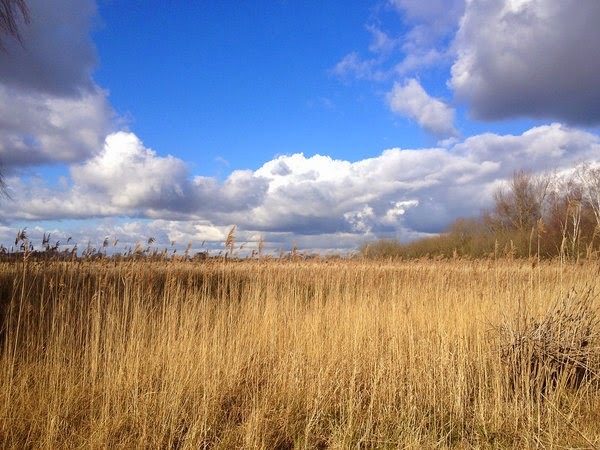 I suppose this is part of the reason the Trust's plan emphasizes a mixed landscape: not only is a diverse landscape good for animals, it makes it possible for people to enter and enjoy the reserve in a way one cannot with an unending stretch of reeds. Trust has also built a network of boardwalks to provide human access to some areas. May the vision long endure.